Our Wayfinding Exhibition Art Auction continues online at BenefitEvents until December 22nd. 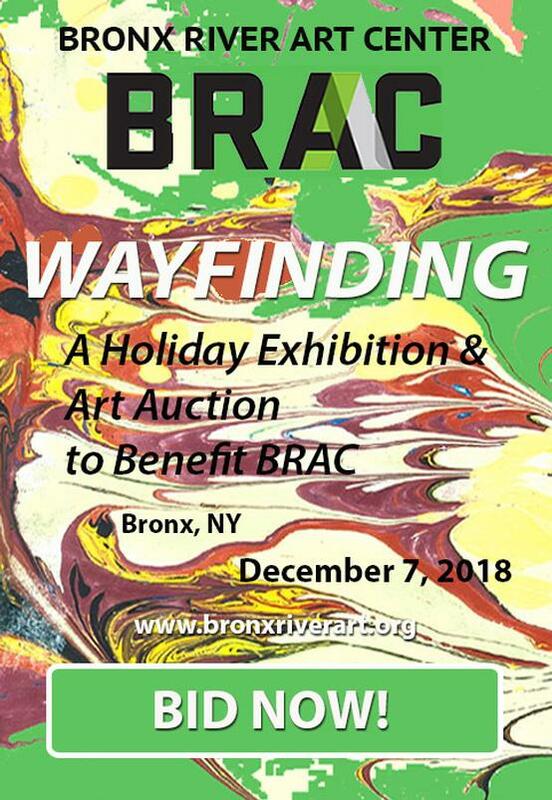 Click on the link below to view artwork donated by Bronx artists and BRAC alumni for an auction to benefit BRAC and support our mission to provide exposure to the Visual Arts for everyone in the Bronx! The holidays are coming up - you can support the Bronx River Art Center and a Bronx Artist AND get an incredible piece of original artwork as a perfect gift! The artwork is also on view in our gallery until January 2, 2019.